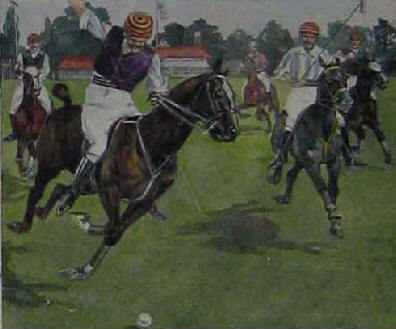 Polo is arguably the oldest team sport in known history. The first matches were recorded some 2,500 years ago in Persia, in 500BC. 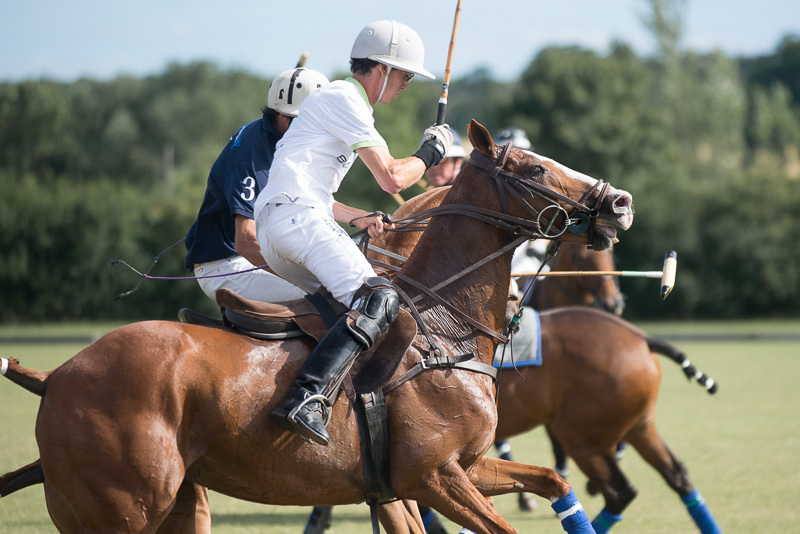 The word “polo” is supposedly derived from “pulu”, the Tibetan for willow, of which the original balls were made. Initially thought to have been created by competing tribes of Central Asia, it was quickly taken up as a training method for the King’s elite cavalry. These matches could resemble a battle with up to 100 men to a side. As mounted armies swept back and forth conquering this part of the world, polo was adopted as the most noble of pastimes by the Kings, Emperors and Sultans across ancient Asia. It was for this reason it became known as “the game of kings”. Now a public park the earliest architectural remains of a polo field can be found in Isphahan, the ancient capital of Persia. It was laid out by Shah Abbas 1 the Great who reigned from 1585 to 1628. The ground is the exact size of a modern polo pitch and still has the original stone goalposts. Whilst stationed in the town of Silchar in Manipur, some British officers saw the game and in 1859 Captain Robert Stewart and Lt. Joe Sherer called the inaugural meeting of the very first polo club, the Silchar. Soon the British tea planters had joined the British army in playing the game and in 1863 the oldest club in the world today, the Calcutta Polo Club was formed. Officers returning to th UK introduced the game in England and the first official match was played on Hounslow Heath in 1869 with the 10th Hussars meeting the 9th Lancers. With the special bond between horse and rider making it enthralling for the spectator, polo continues to represent the pinnacle of team sport. A famous versa inscribed on a stone tablet next to a polo ground in Gilgit,Parkistan: “Let others play at other things. The king of games is still the game of kings”, epitomizes the feelings of many of its players. The maximum pitch is 300 yards long by 160 yards wide, with the goal posts 8 yards apart. The match is divided into chukkas, lasting 7 minutes each, with an interval of 3 minutes between each one. At half time the interval is 5 minutes. For High goal polo 6 chukkas are played and at half time the spectators are invited onto the pitch to tread the divots. The bell is rung at the end of each 7 minute period. Play continues until the ball goes out of play, a foul is committed, or the bell is rung for the 2nd time 30 seconds after the first bell. In the final chukka the match is over at the first stroke of the bell. Ends are changed after each goal scored, or at half time if no score by then. Right of way- During play there is an imaginary line of the ball which is the direction in which the ball is travelling at any one moment. When a player has established the right of way along that line, it may not be crossed by an opposing player if there is the slightest risk of collision. Crossing- Any player who crosses the player on the line of the ball close enough to be dangerous or cause him to slow up, commits a foul. Riding off- is the act of pushing another player and his horse out of the way using your horse, and is permitted, whether the other man is playing the ball or not. It must not be done by charging in at a dangerous angle, nor must the man in possession of the ball be crossed. Hooking sticks-A player may hook an opponent’s stick provided he is on the same side of the opponent as the ball, or directly behind him, and provided the stick is below the level of the opponents shoulder. Players must not attempt to hook an opponent in front of the pony’s legs. Each player is given a handicap level of -2 to 10 goals depending on his ability, with 10 being the highest possible. A teams rating is calculated by adding together the 4 player’s handicaps. A team is numbered from 1 to 4. No1 and No2 are the forwards, no3 is the pivot position and no4, the goal defender. Although each position has a purpose all players are able to score a goal. There are 2 mounted umpires on the pitch and a 3rd man in the stands who acts as an arbitrator if the umpires disagree. The goal judges behind each goal wave a flag when a goal is scored. The time keeper and scorer keep track of the timings of the match and sound the bell at the end of each chukka. Different types of penalties are awarded depending on the nature of the foul. 30 and 40 yard- free hit at an undefended goal. The attackers have to be level with the ball when hit. defenders have to be behind the back line. 60 yard- None of the defending team to be nearer than 30 yards. Free Hit- Hit from the spot where the foul occurred, with none of the defending team to be nearer than 30 yards. If the ball has gone over the back line, but not through the goal, then the defending team hit it back into play at the point where it crossed the line. The attacking team must be 30 yards away.